From Goodreads: Dear Reader, If this is the first book you found while searching for a book to read next, then the first thing you should know is that this next-to-last book is what you should put down first. Sadly, this book presents the next-to-last chronicle of the lives of the Baudelaire orphans, and it is next-to-first in its supply of misery, despair, and unpleasantness. Probably the next-to-last thing you would like to read about are a harpoon gun, a rooftop sunbathing alon, two mysterious initials, three unidentified triplets, a notorious villain, and an unsavory curry. Next-to-last things are the first thing to be avoided, and so allow me to recommend that you put this next-to-last book down first, and find something else to read next at last, such a s the next-to-last book in another chronicle, or a chronicle containing other next-to-last things, so that this next-to-last book does not become the last book you will read. Thoughts: Things are getting exciting now!! 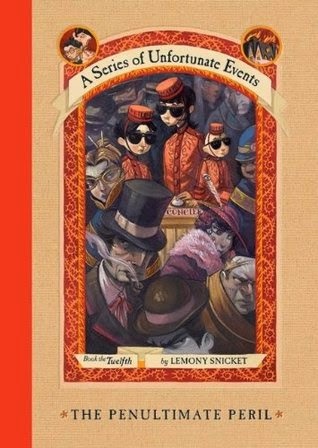 This is the second last book in the wonderful Series of Unfortunate Events that have followed the terribly sad tale of the Baudelaire orphans from that fateful day when their parents perished in a dreadful fire. As with the previous books, more questions are raised and very few are answered. The Baudelaire's continue to wrestle with the question of their own nobility or villainy - is it ok to do something villainous for noble causes? Do the ends always justify the means? 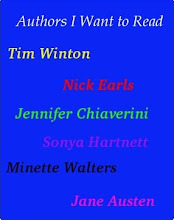 Characters from previous books resurface as everything starts to draw to a conclusion. In fact, I think half of the enjoyment of this installment for the kids was recalling who came from what book and what role they played in it. As always as this book drew to a close, the kids were begging me to download the last book - aptly titled The End. I will admit, they didn't have to beg too hard! Now all I hope is that we can make it through the last book before the school holidays start - not sure we could wait two weeks to find out what ultimately happens!